We hear from sources close to the contract that the Curtis Institute is shaking out its woodwinds. 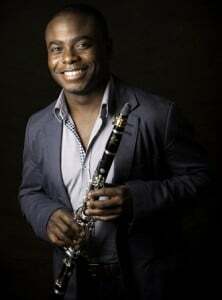 Anthony McGill, principal clarinet of the New York Philharmonic, is coming in. Ricardo Morales and Michael Rusinek are shipping out. Nothing has been announced yet , but the changes are taking place in the term break. Two of those involved have confirmed the matter independently to a Slipped Disc correspondent. In a small school like Curtis, this is quite a storm. More details! All three are fabulous clarinetists. McGill returns to Curtis from where he graduated. His teacher was Don Montanaro, longtime Curtis clarinet prof and retired Philly Orch. assoc. principal. The clarinet studio had not been truly settled since a firing in the eighties.The last teacher did however produce some fine players. Many fine principal players of the USA all the way to Beijing studied with Don Montanaro. Tony will no doubt inspire a fine group of clarinet players toward more principal positions. Setting the record straight: I can tell you with certainty that there was no “clarinet firing” at Curtis in the 80s. Three Philadelphia Orchestra principals (Murray Panitz, Anthony Gigliotti, and Bernard Garfield) requested a salary increase that was refused by the Director, John de Lancie. They were replaced by Julius Baker, Donald Montanaro, and Sol Schoenbach in September 1980). Donald Montanaro, who retired in 2014, served longer than any other clarinet teacher in the history of Curtis (1980-2014, 35 school years). The list of his students holding significant positions in orchestras is more than impressive. Further elucidation: Murray Panitz was succeeded in 1980 by Julius Baker AND John Krell (long-serving piccolo with the Philadelphia Orchestra). Fitzpatrick maybe correct or he maybe spewing the rhetoric of an official position. Jeff Khaner, possibly Julie Baker’s best student, is my favorite orchestra principal flutist with a beautiful sound reminiscent of his teacher. Is something amiss in his teaching at Curtis? He’s on the Juilliard faculty, as well…..
Fitzpatrick speaks the truth! Donald Montanaro is a fantastic teacher and Gigliotti wasn’t fired. Ricardo Morales and Michael Rusinek were definitely fired for various reasons including Ricardo’s insistence on selling his Moba clarinets to the students and Mike’s political maneuvering and in-fighting with Ricardo. I say good riddance. Anthony will be a great addition to the Curtis faculty! Tony G told me that the Quintet quit due to some garbage that was happening from the Administration (DeLancie). Things like a Violinist who wanted to switch teachers was kicked out of Curtis for wanting to do that (a Violinist who’s father played Violin in P.O., and brothers in Boston), as well as personal fighting from admin. Makes complete sense that they asked for a raise, and were denied. If you get the cream of the crop students, it is pretty hard not to have amazing results.